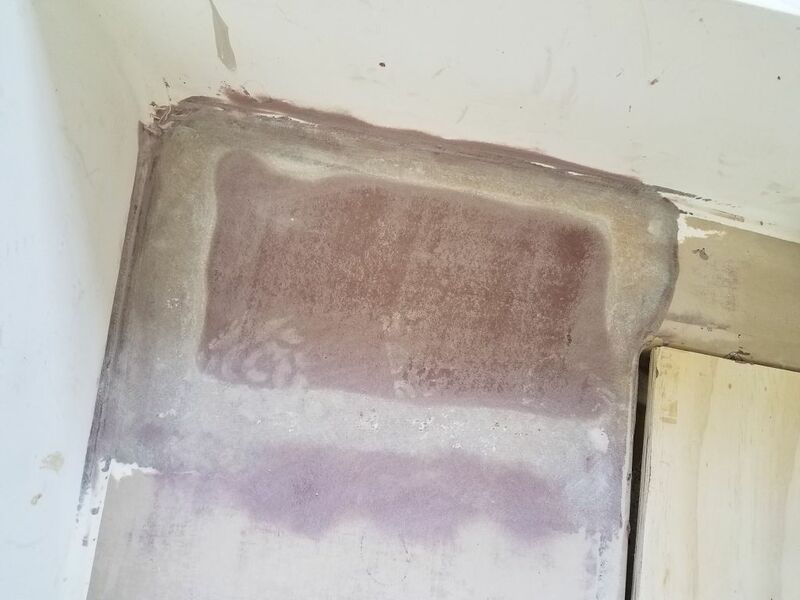 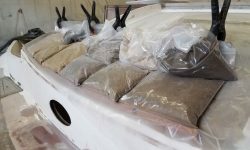 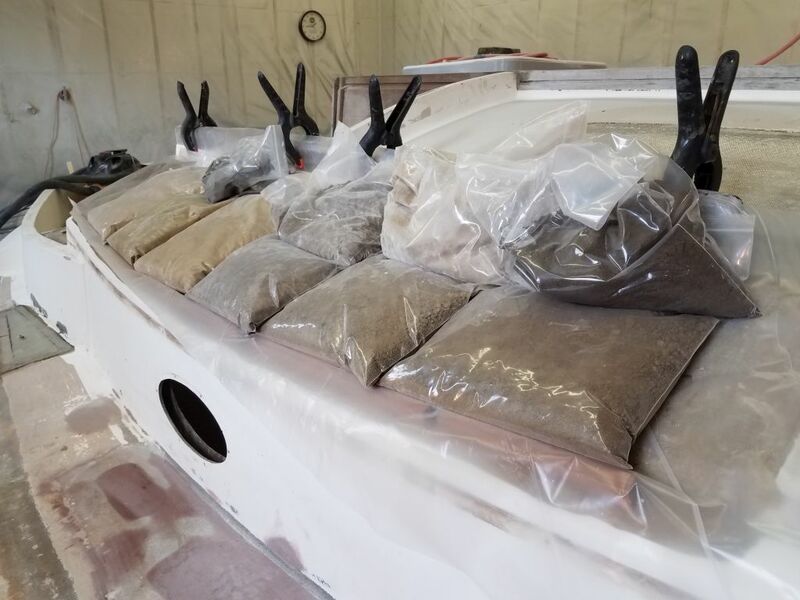 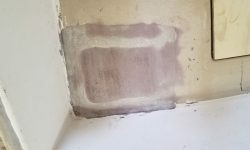 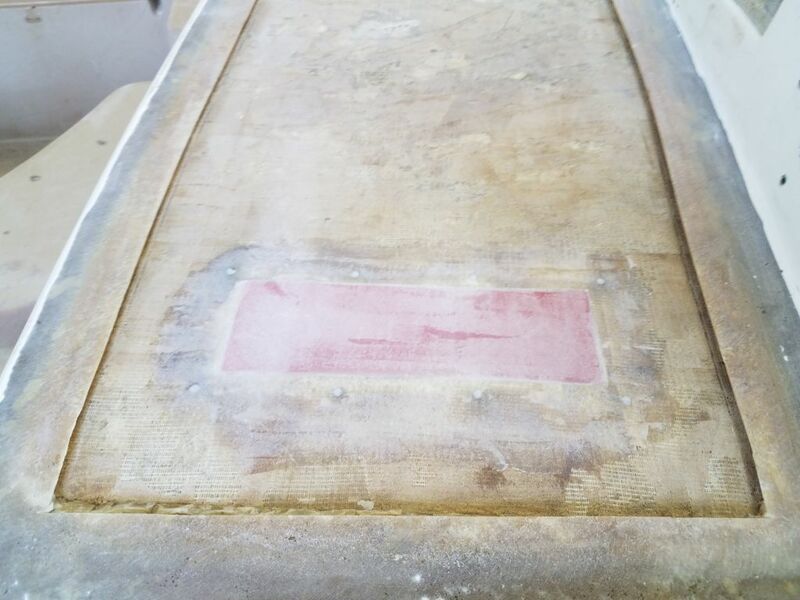 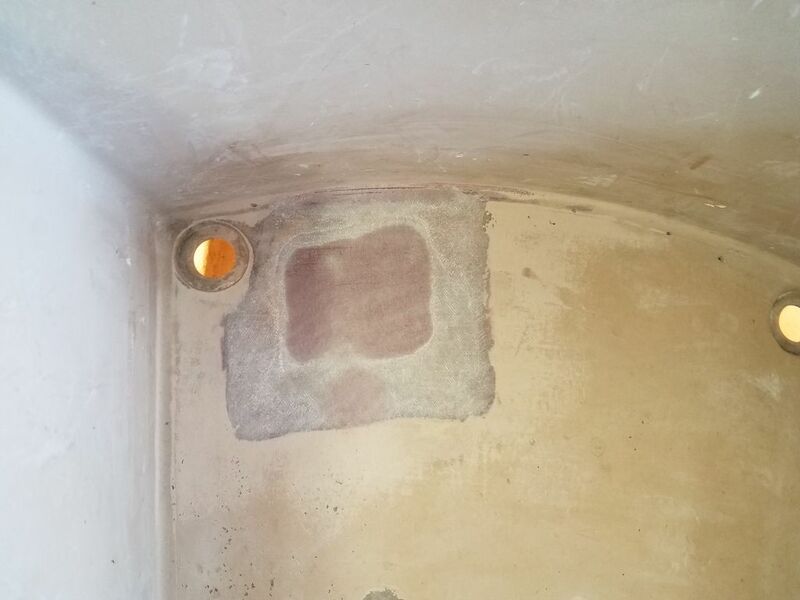 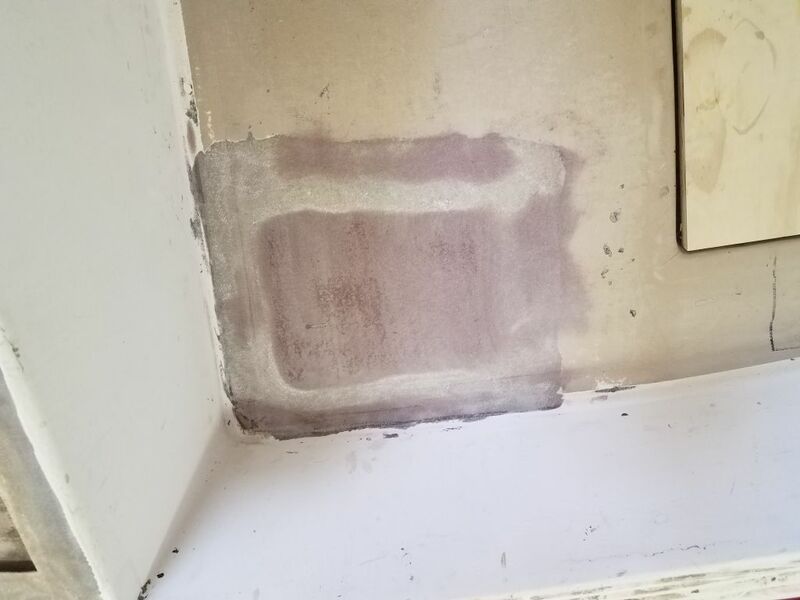 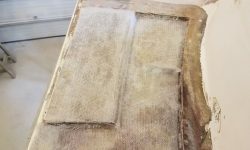 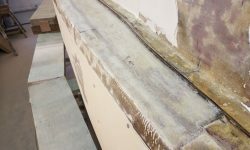 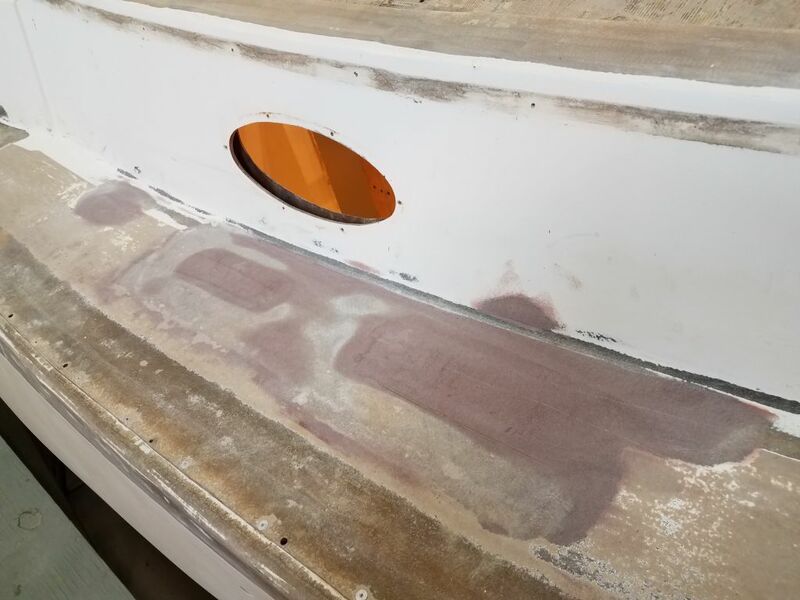 I began with my usual round of sanding over the various patches currently underway, including the port sidedeck, two small areas where I’d installed new core, and the first round of filler at the hull/deck joint where I’d applied it. 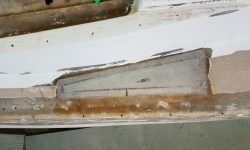 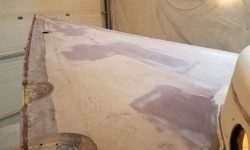 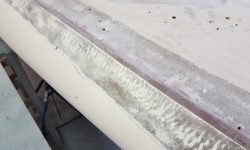 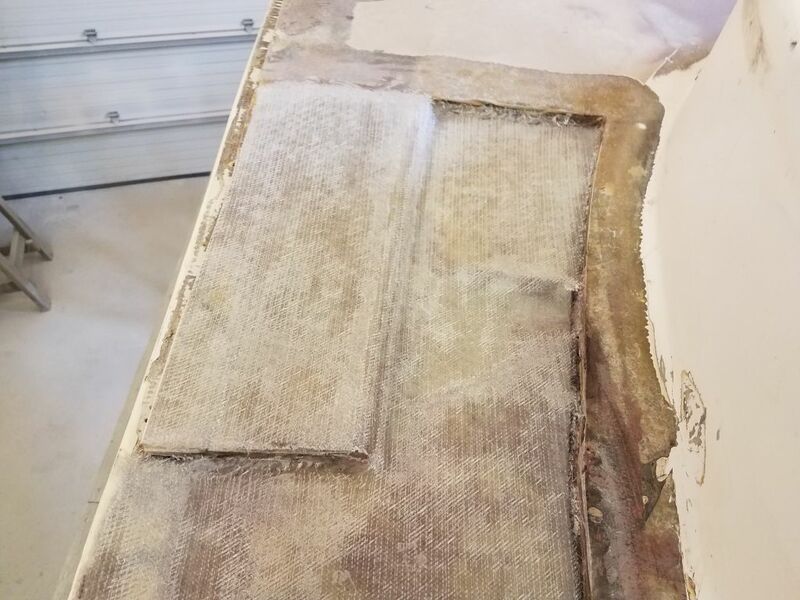 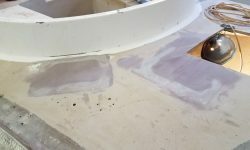 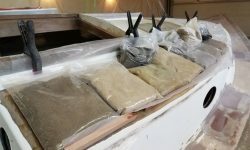 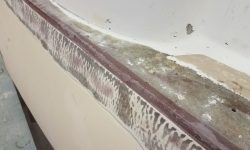 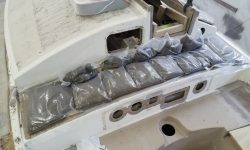 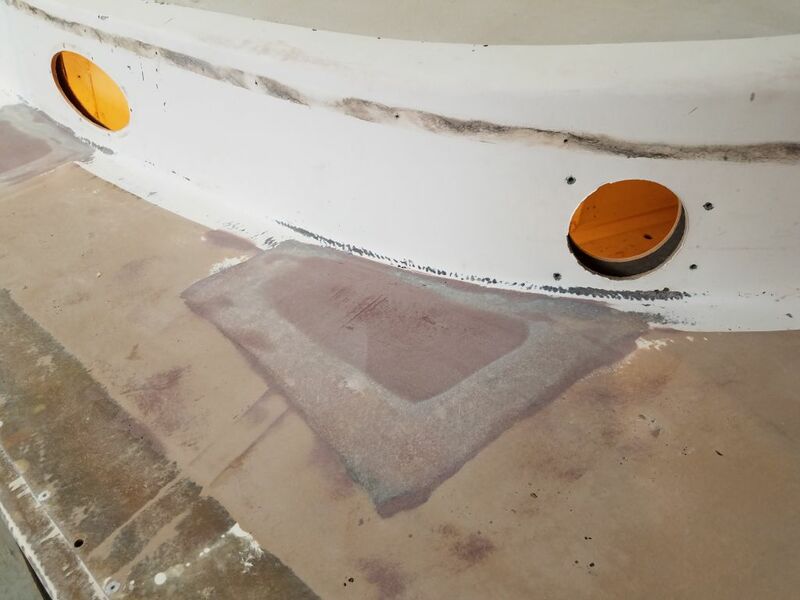 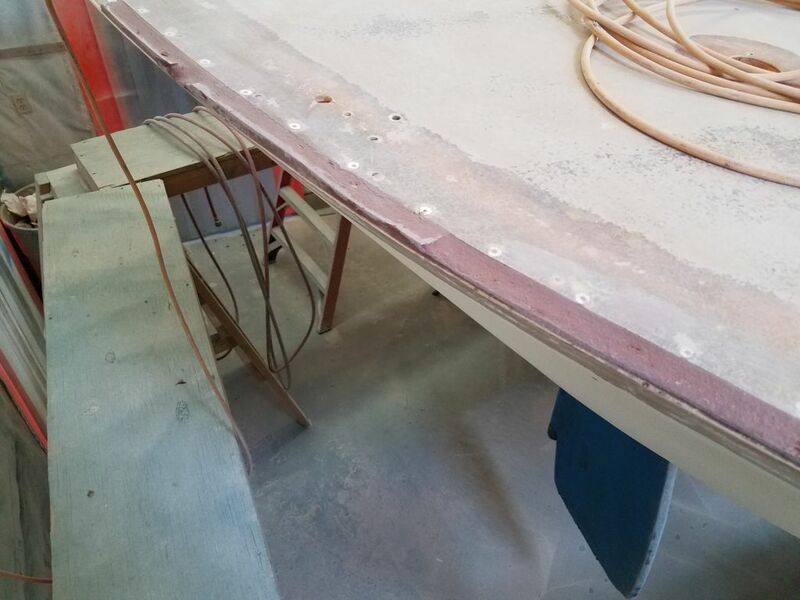 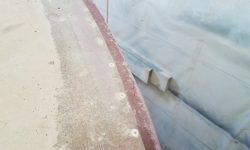 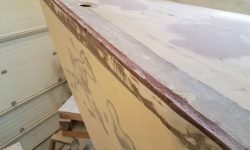 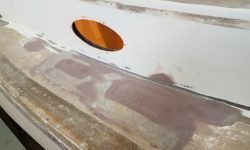 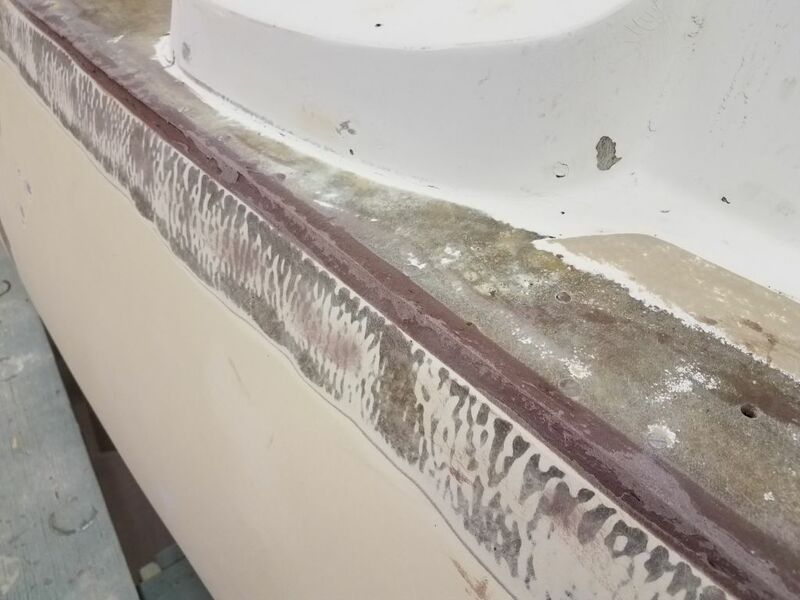 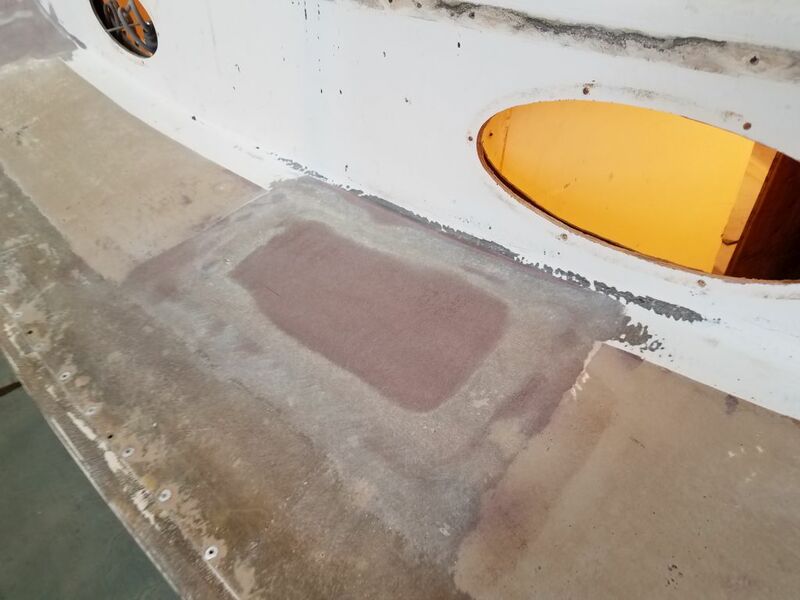 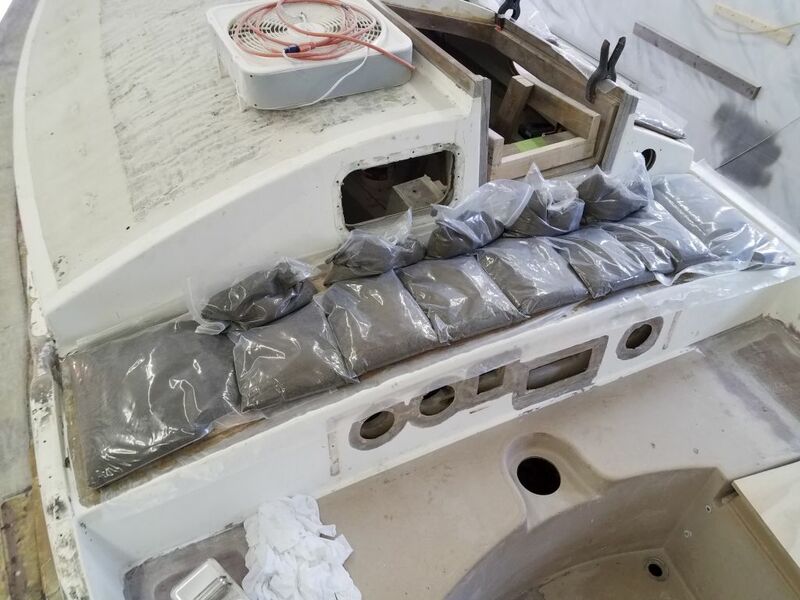 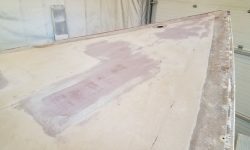 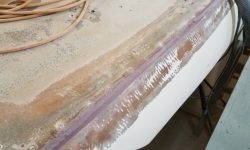 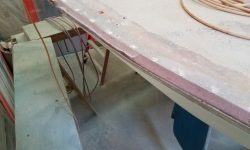 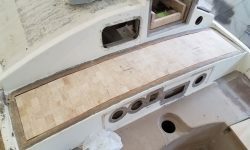 Next, I patterned and cut fiberglass for the small repairs on the coachroof and starboard sidedeck, and installed the two layers of new fiberglass in epoxy resin. 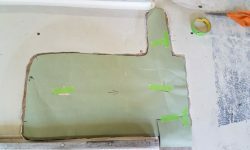 Earlier, I’d cut the new core material for the bridgedeck and the larger section of the coachroof, and now I dry-fit the pieces to check the fit. 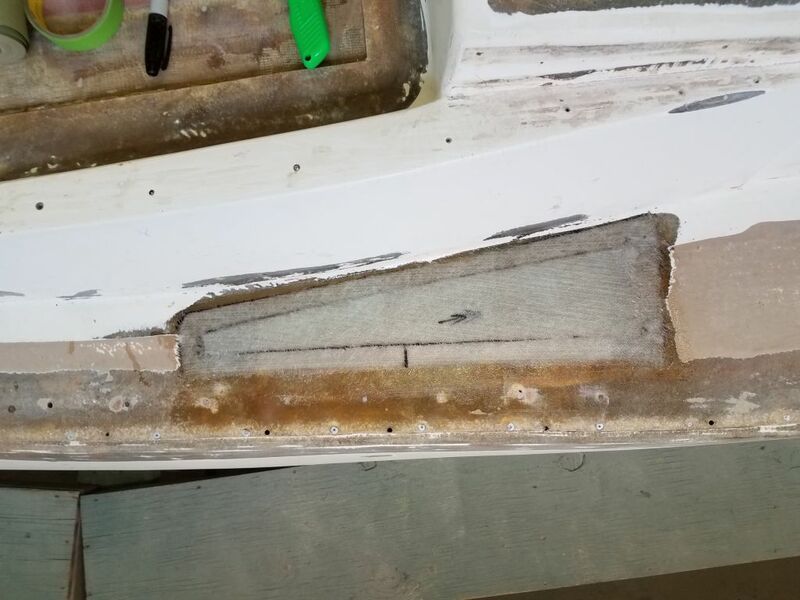 With the steep angle of the coachroof, I was concerned that the weights I used to press the core in place during installation would slip off, so to help hold things in place I hot-glued several scraps of wood to the edge of the deck. 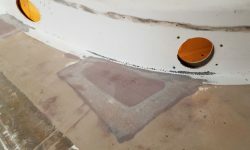 With preparations complete, I wet out the new core and installed it in epoxy adhesive, weighing it down securely. 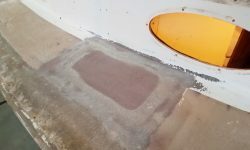 I repeated the process with the bridgedeck core. 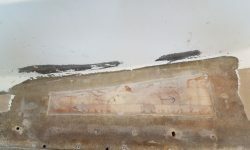 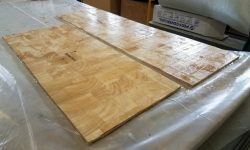 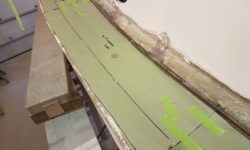 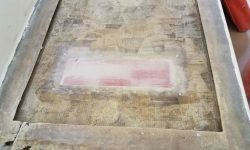 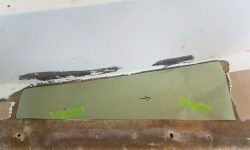 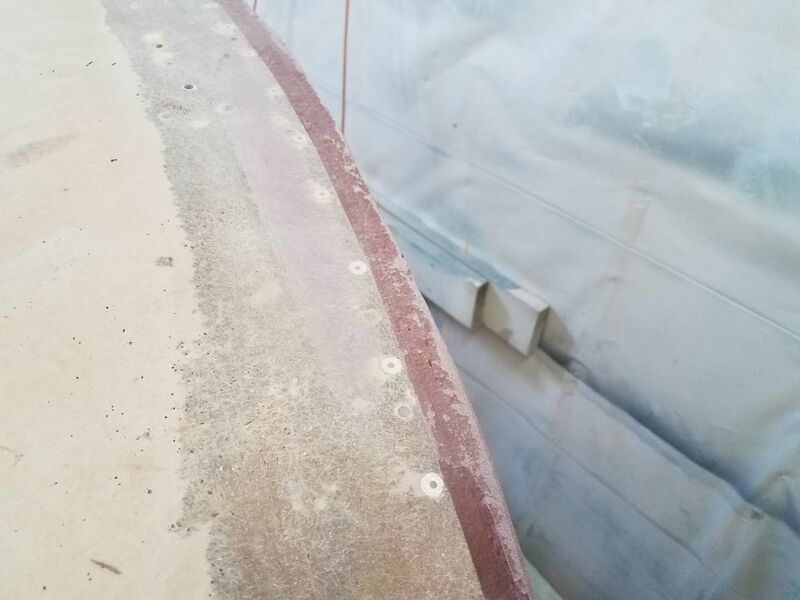 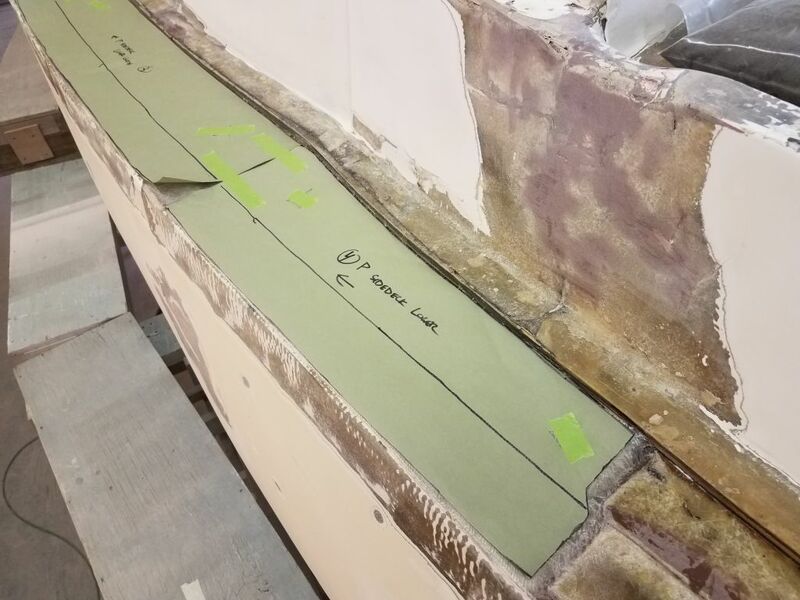 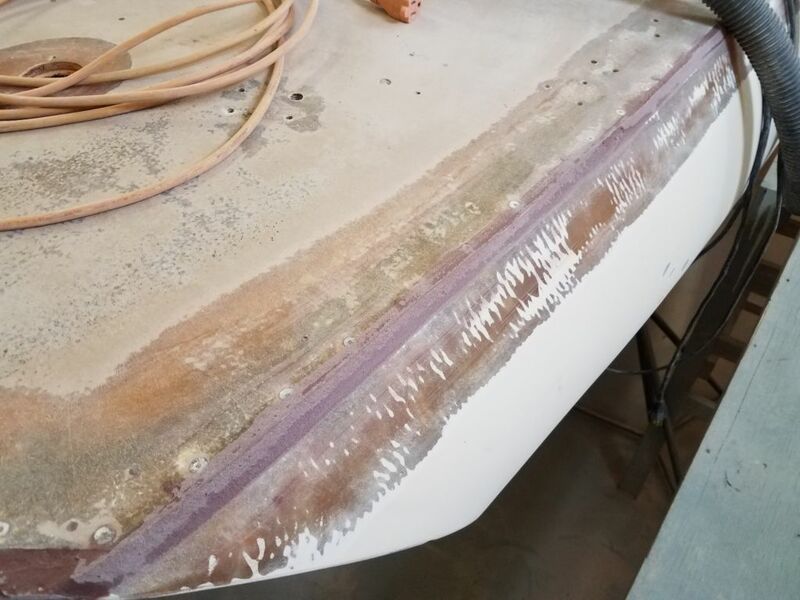 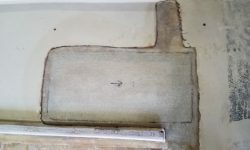 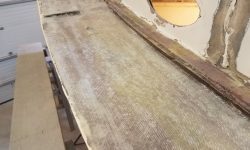 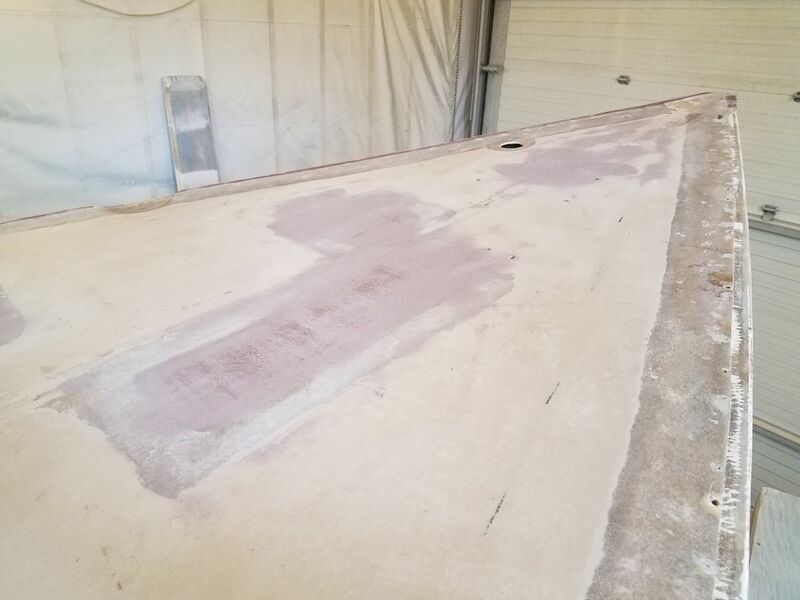 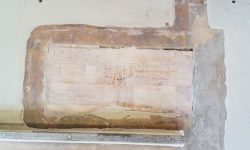 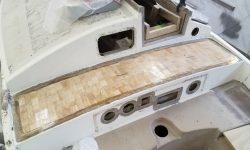 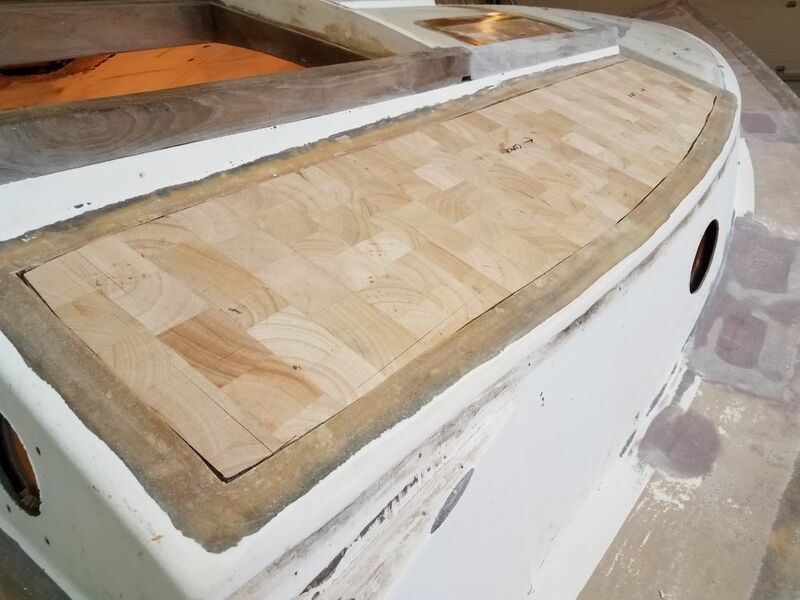 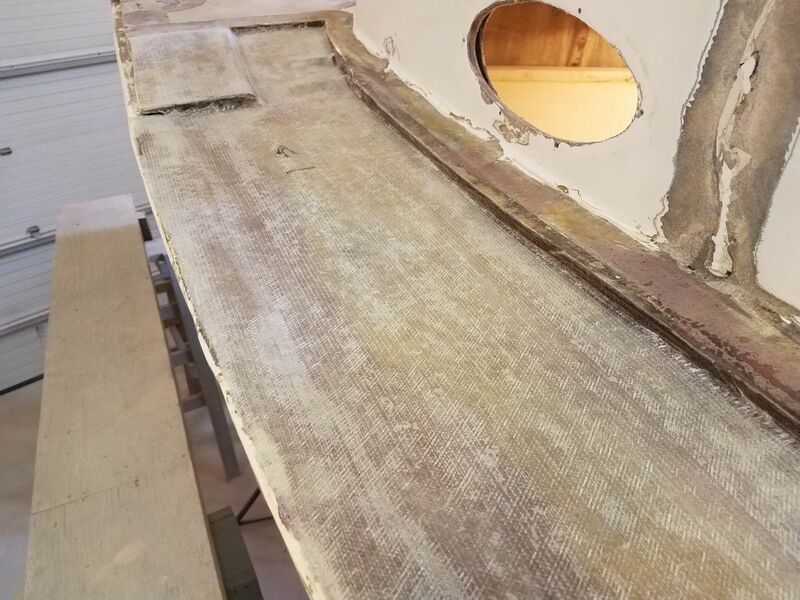 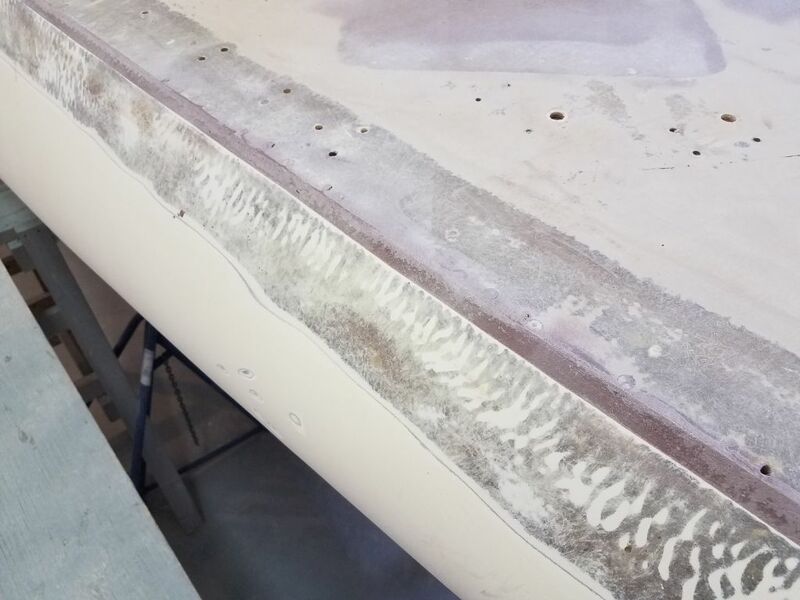 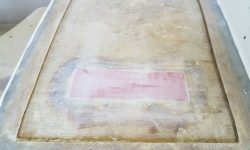 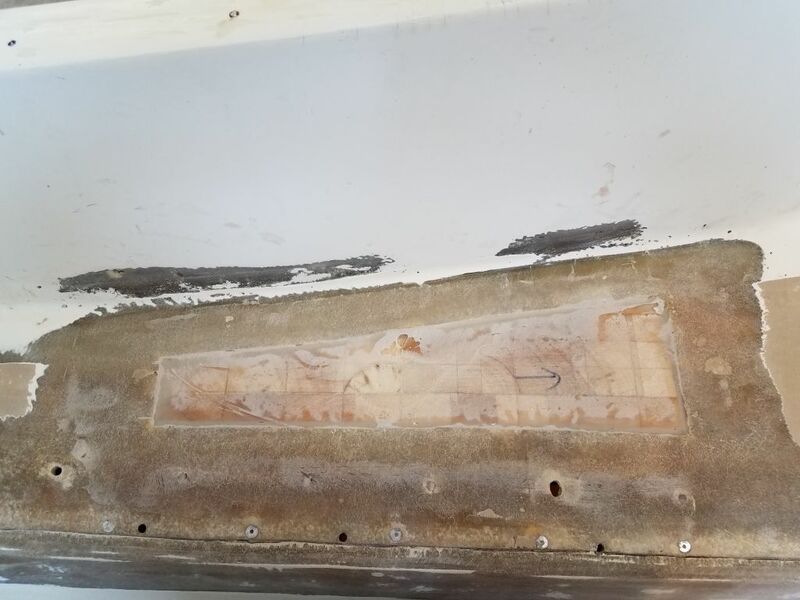 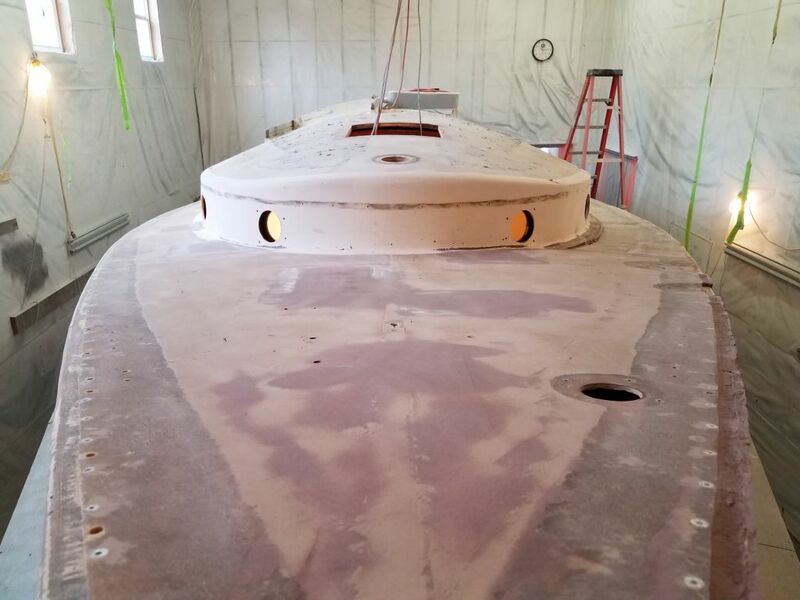 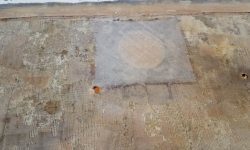 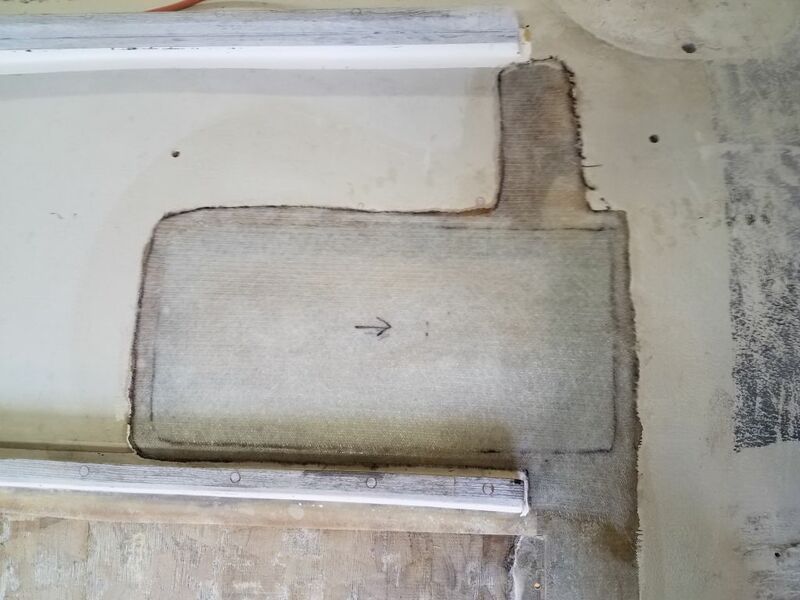 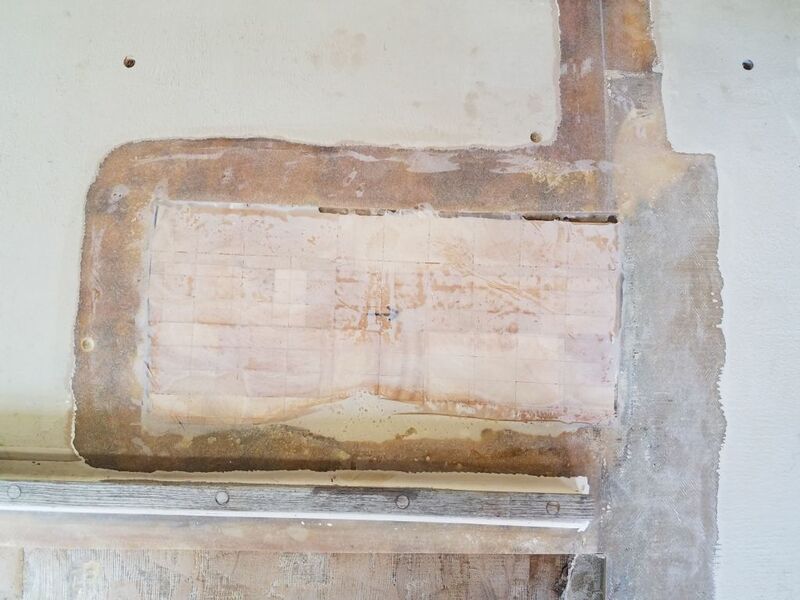 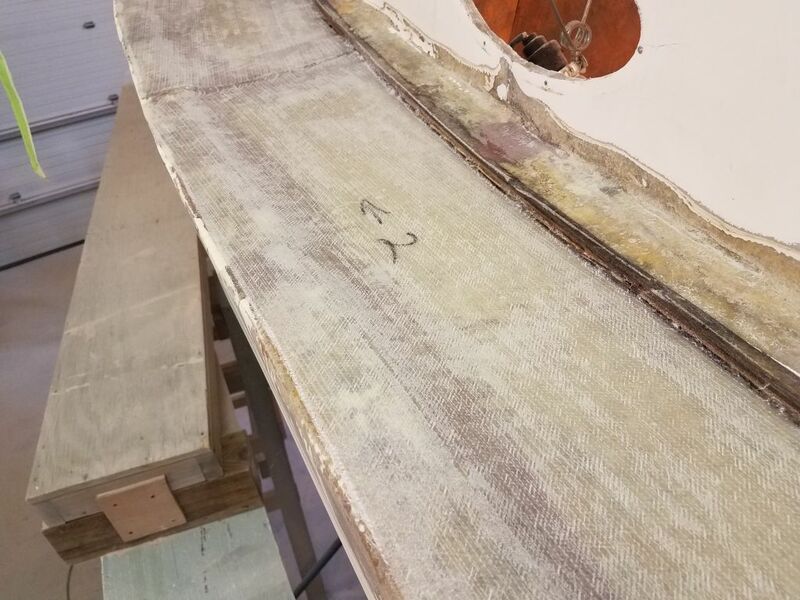 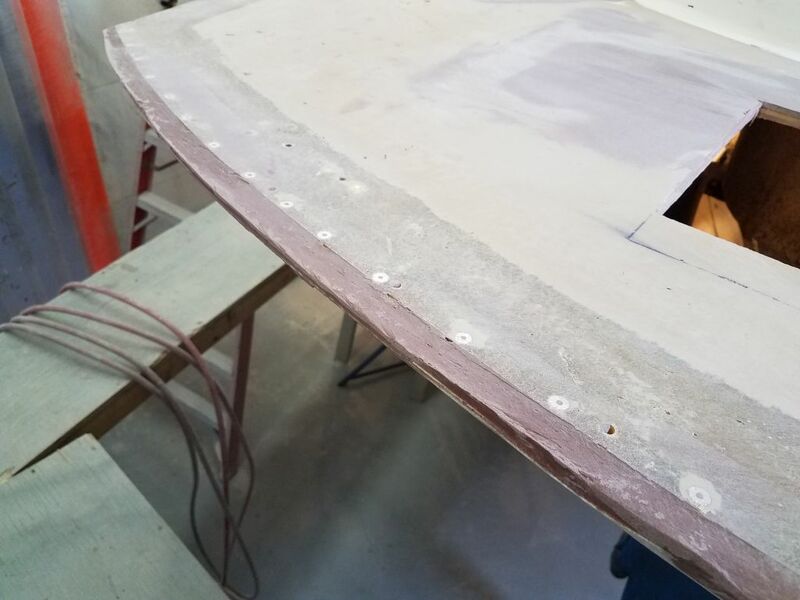 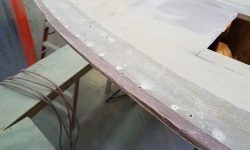 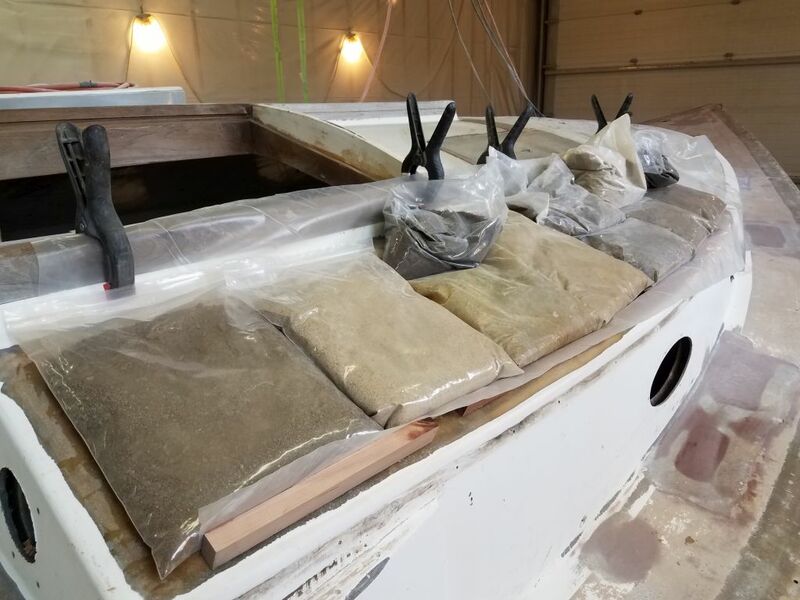 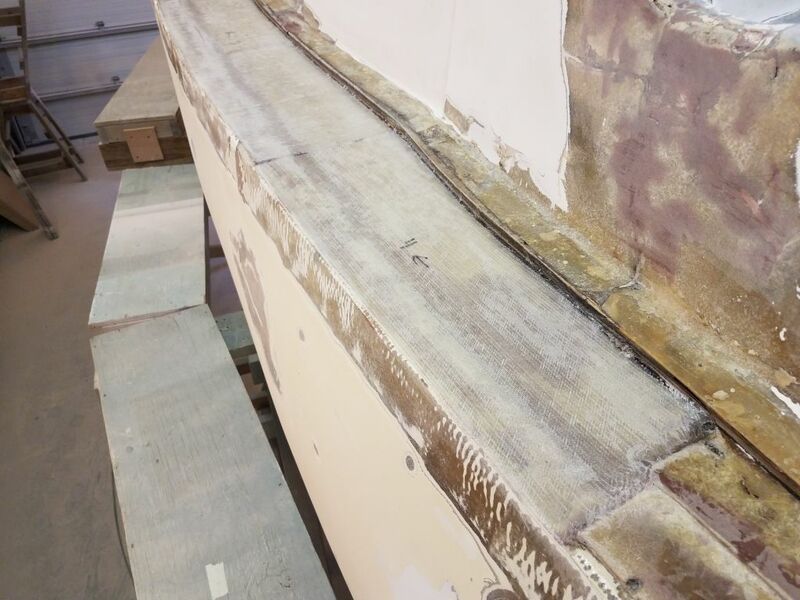 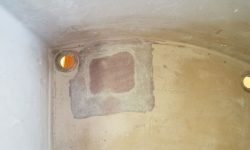 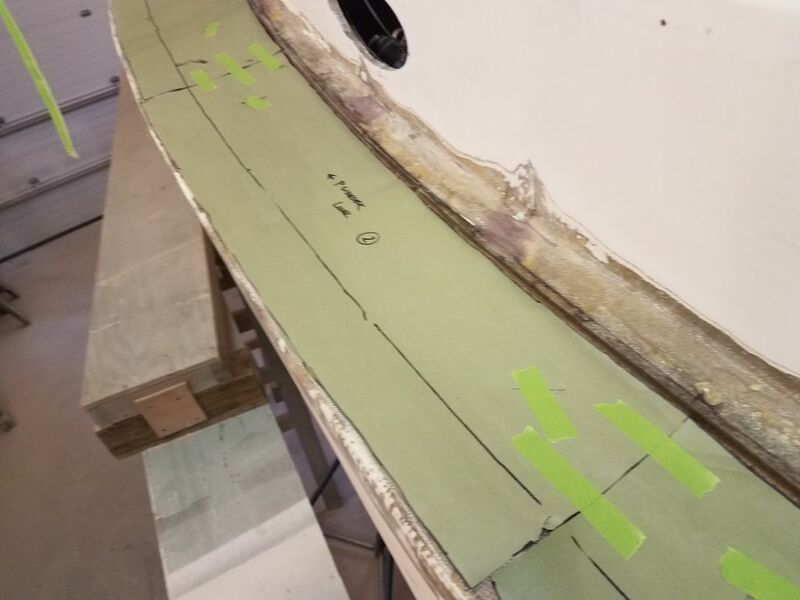 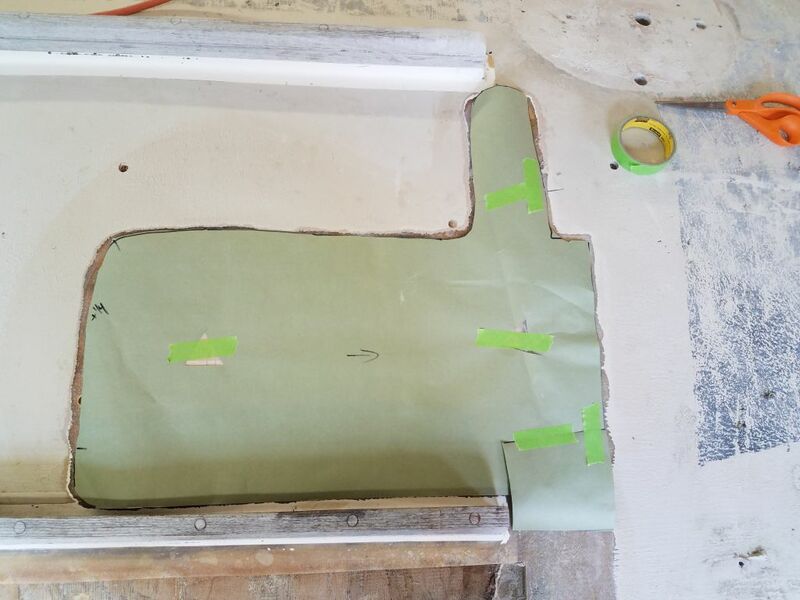 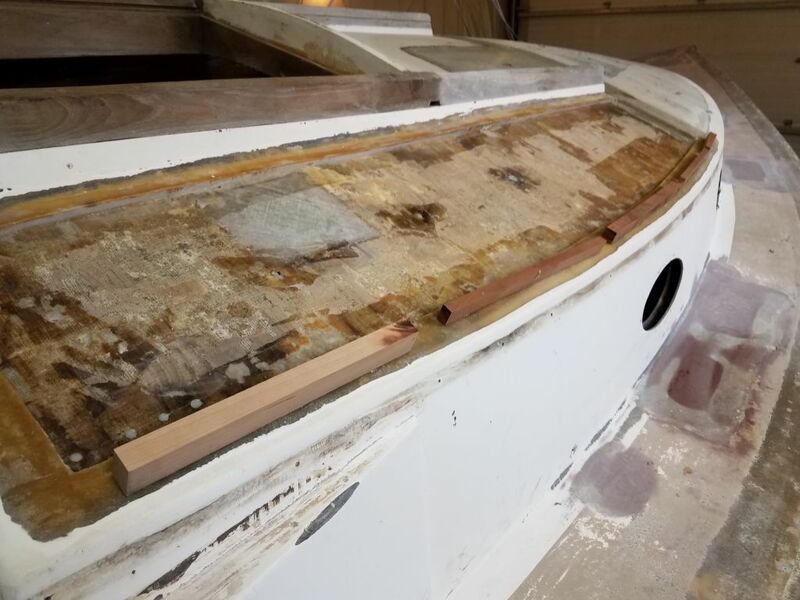 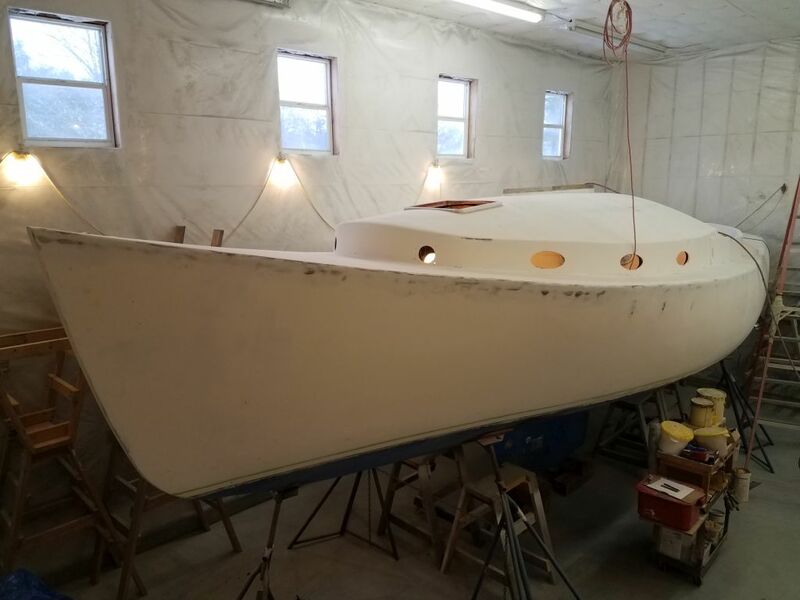 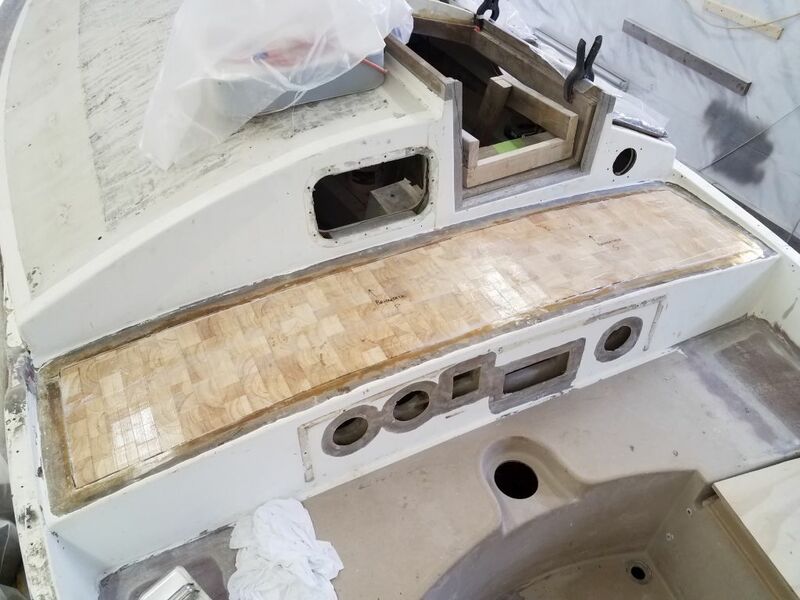 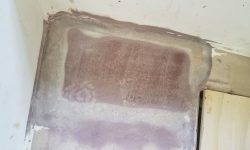 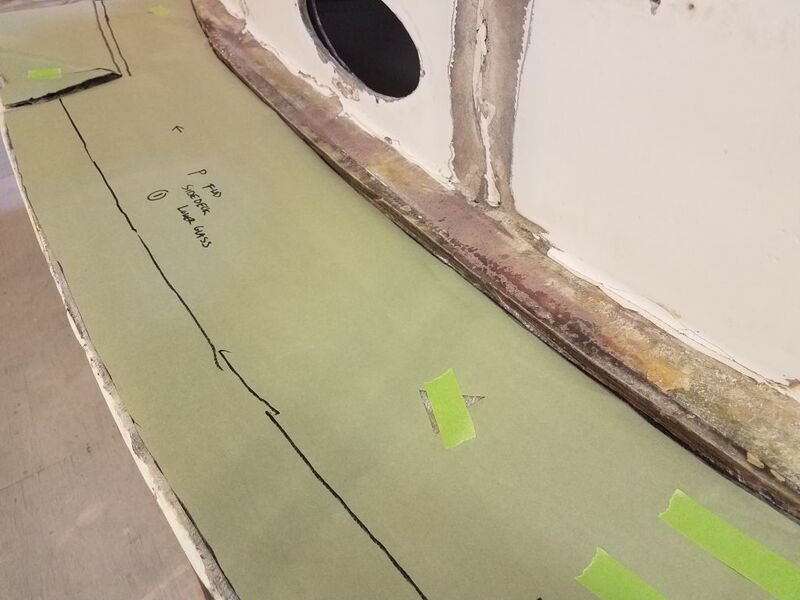 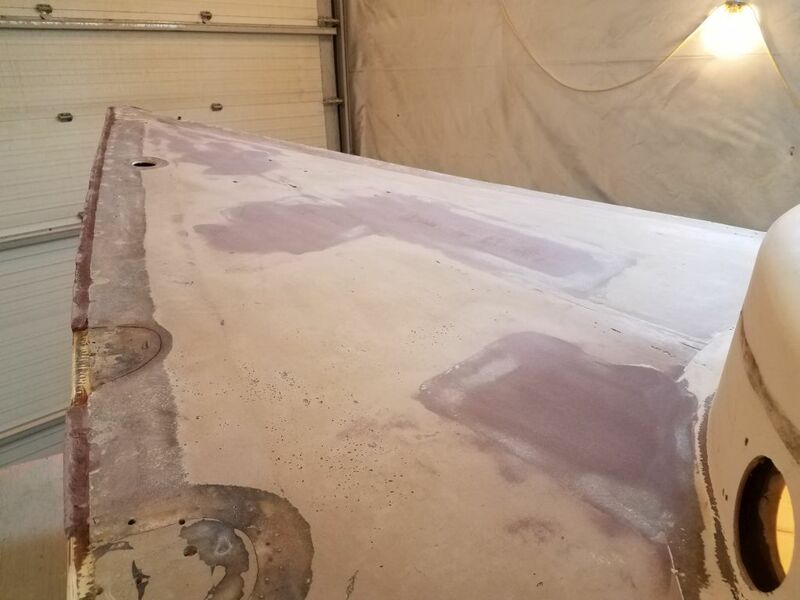 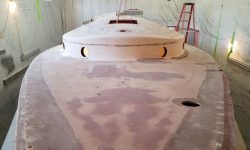 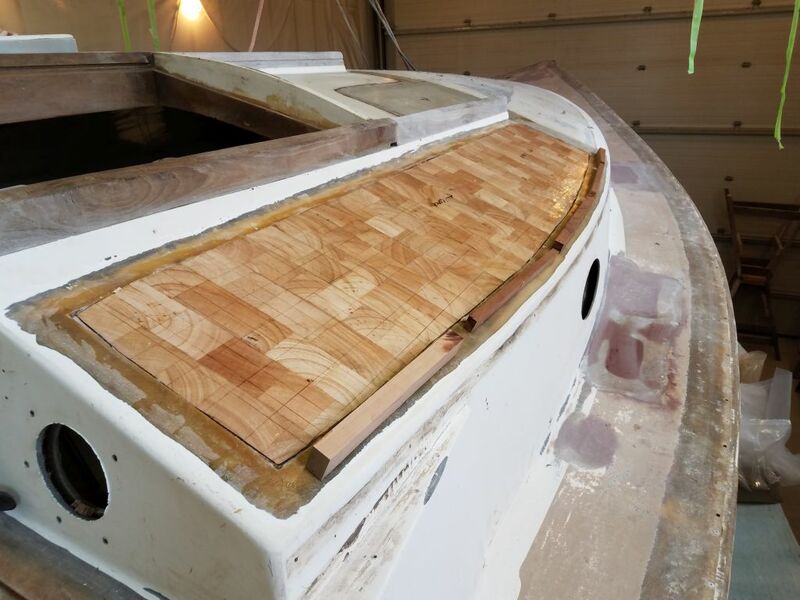 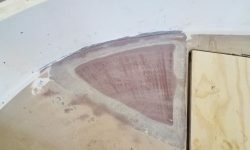 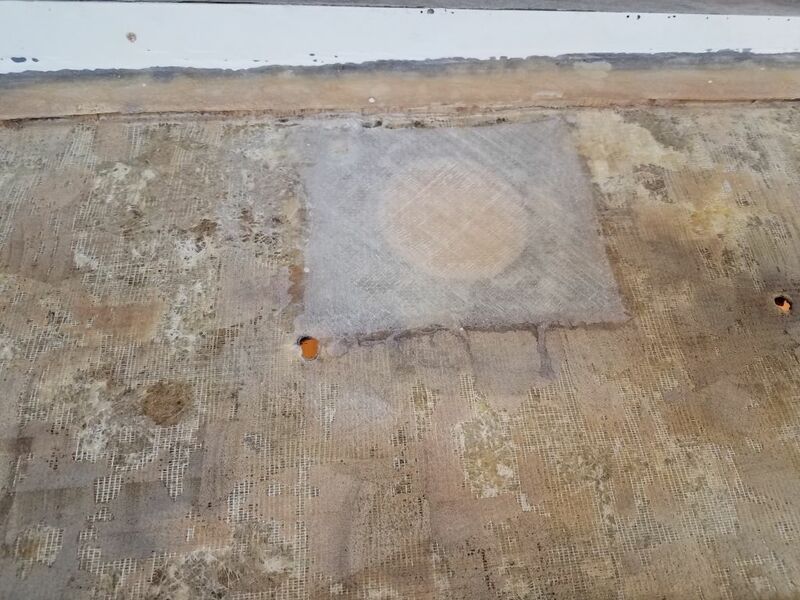 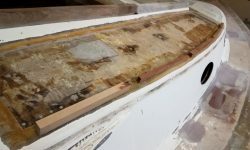 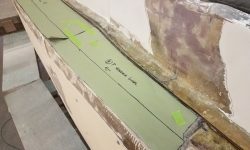 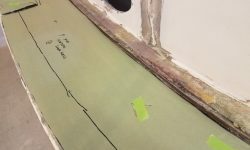 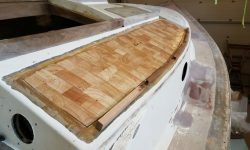 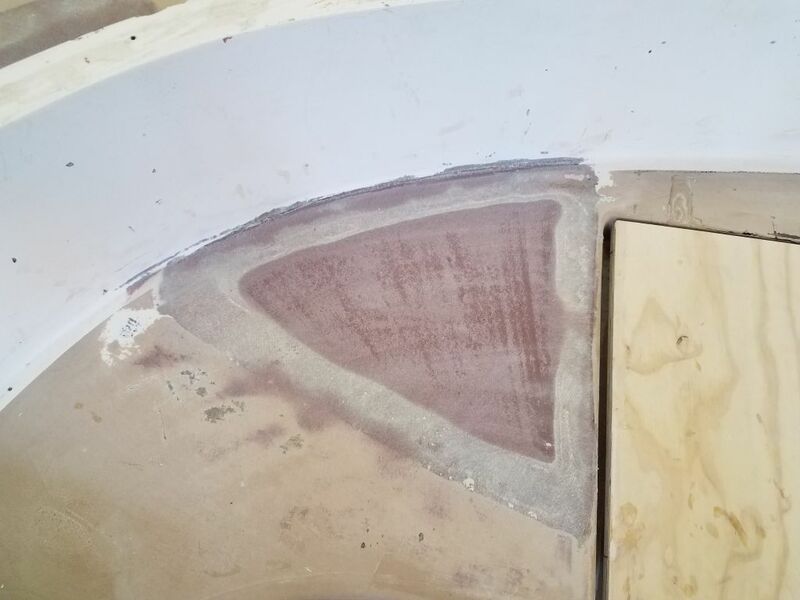 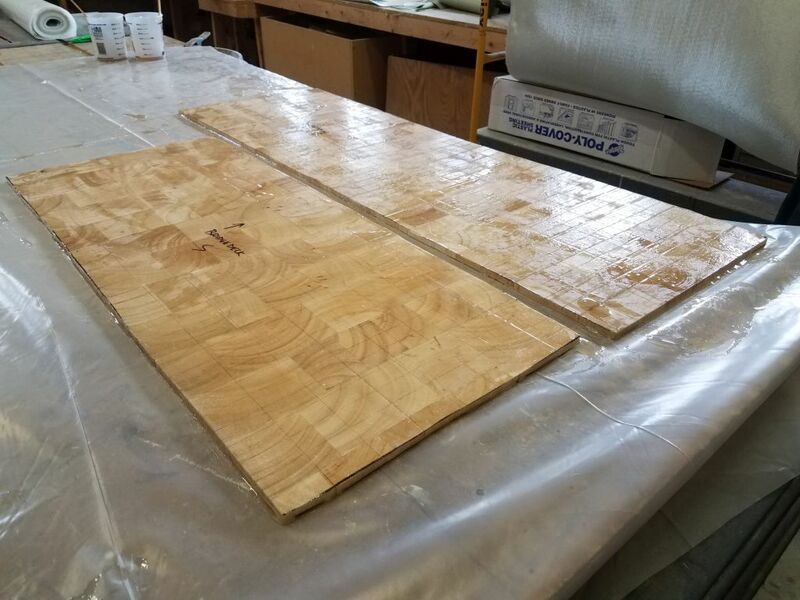 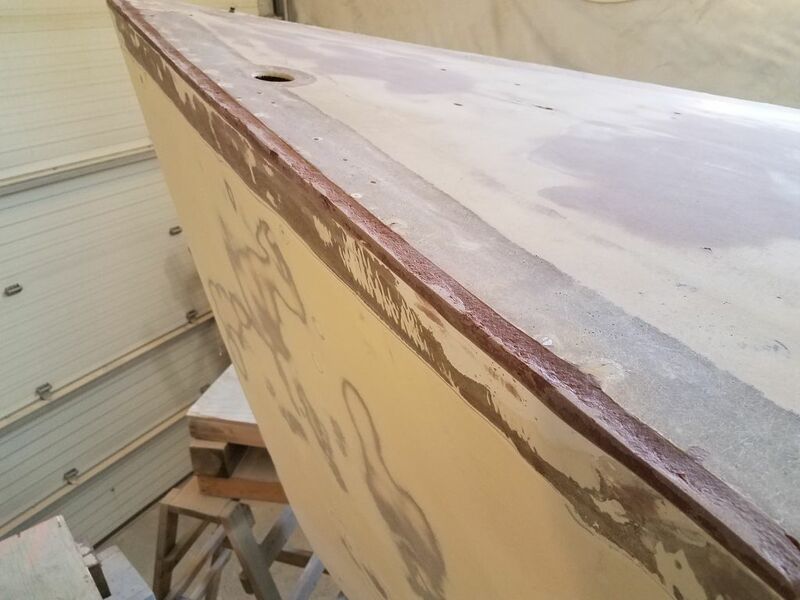 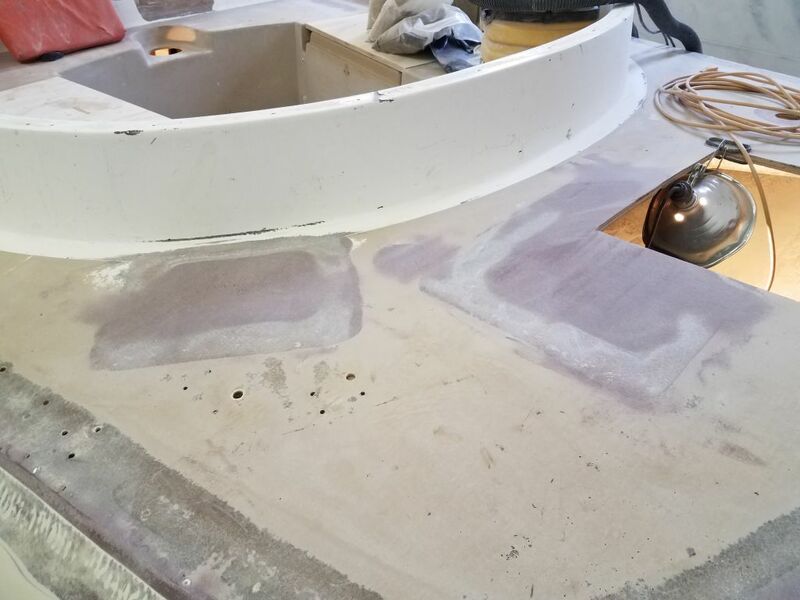 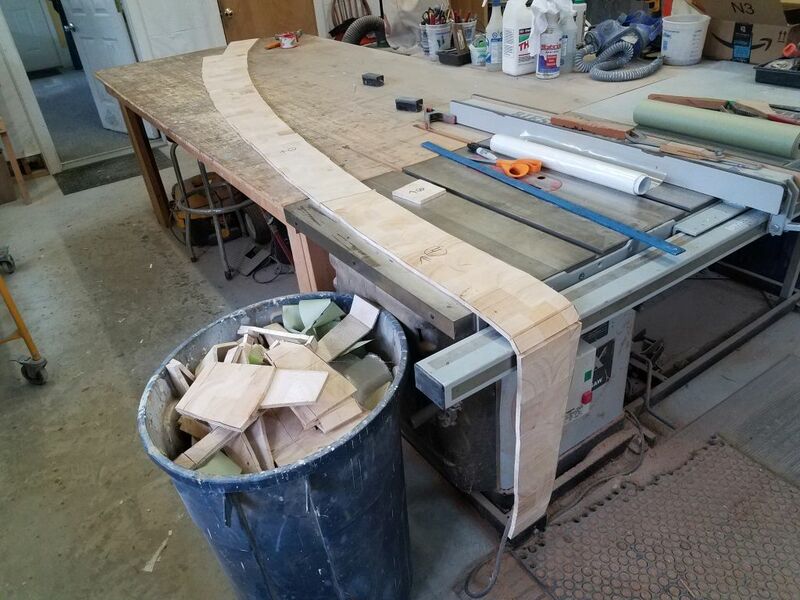 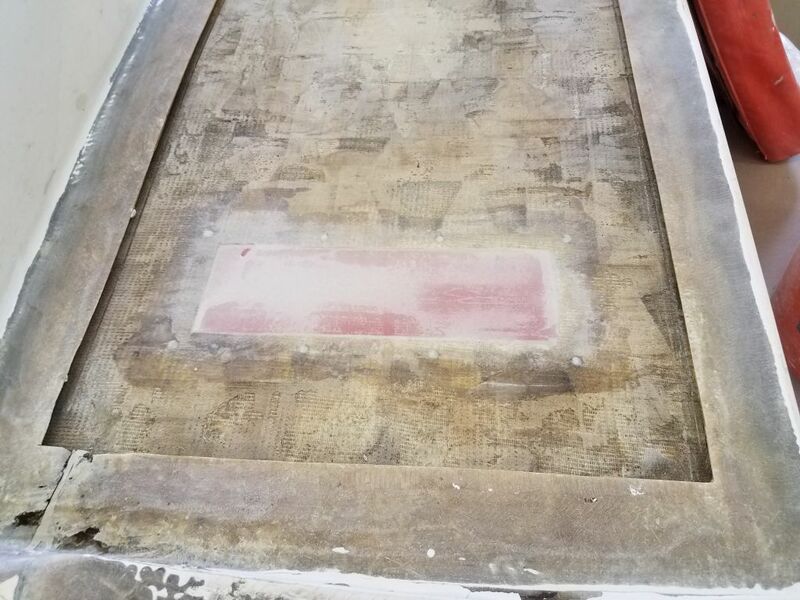 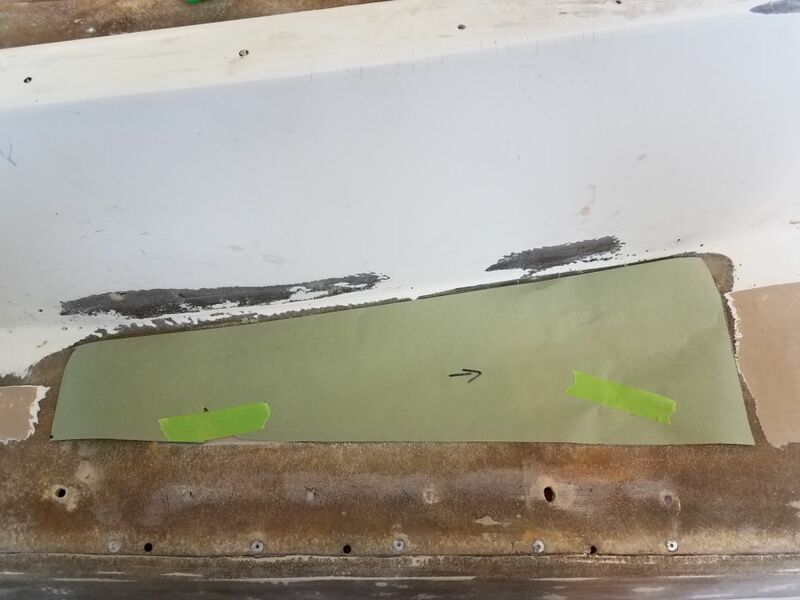 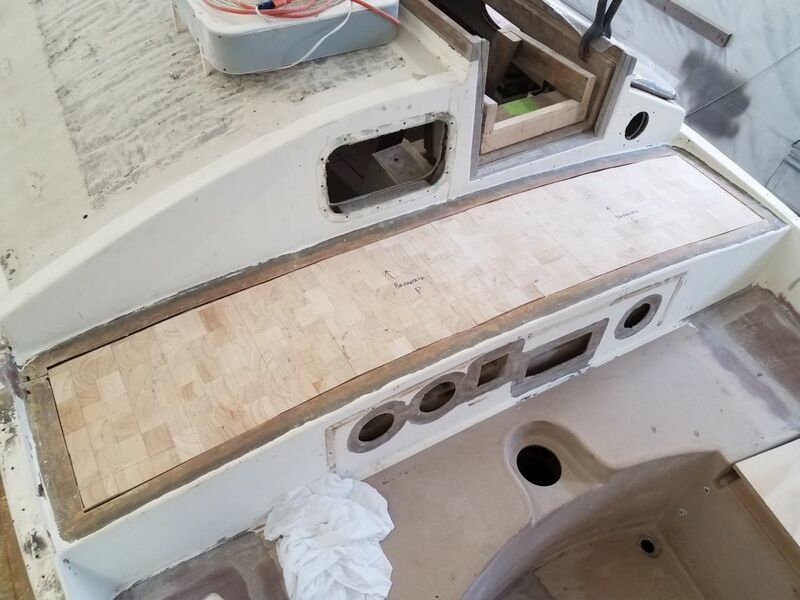 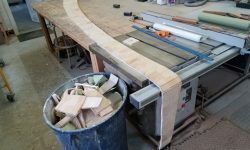 On the port sidedeck, I laid out the patterns I’d used for the first layer of fiberglass, then marked the outer edge where I wanted the new core to end, about 3-1/2″ in from the edge of the hull. 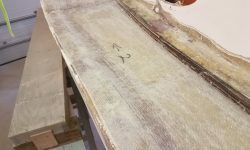 Then, I cut the new core to fit, bringing me to the end of the day. 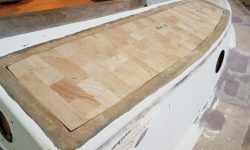 I’d be ready to install this next time.